This property is 8 minutes walk from the beach. 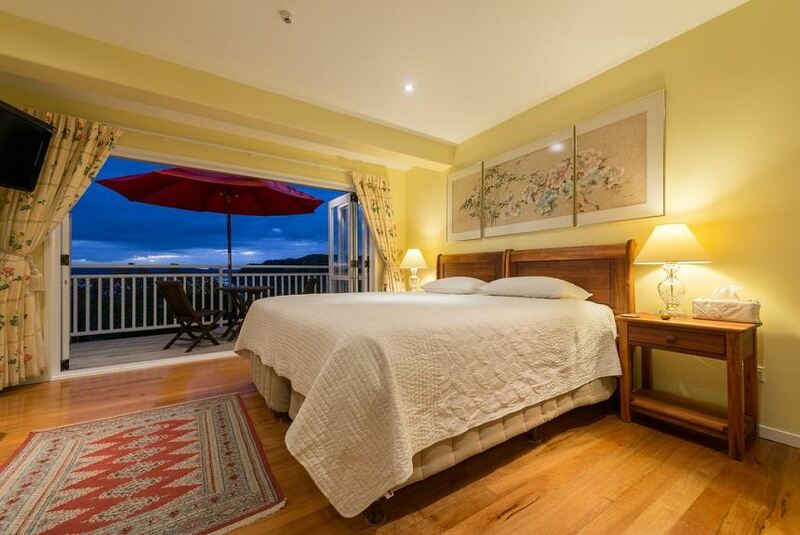 Just 450 m from Kororareka Bay, Bellrock Lodge offers studios with a private balcony and lovely bay and town views. It features free Wi-Fi, plus free diving, fishing and snorkelling equipment hire. A kitchenette with a dishwasher, microwave and refrigerator is standard in all studios. Each air-conditioned studio features flat-screen satellite TV, a DVD player and an iPod docking station. Bellrock Lodge Russell is 5 minutes’ walk from the town centre, which offers a variety of restaurants, cafes and pubs. It is 15 minutes’ walk from Flagstaff Hill Historic Reserve. Paihia is a 40-minute drive, and Kerikeri Airport is 38 km away. Guests can enjoy a meal in the barbecue area, or book a dolphin watching cruise at the tour desk. The hotel also offers free bicycle rental and a guest lounge.